Tuna is the basic ingredient in many feeds and wet food for cats. But can cats eat tuna just like you humans do? Surely you will have realized that your cat loves the smell and taste of tuna and persistently asks you to share whenever you have some at home. If it were up to us, we live exclusively on tuna, although we know that we cannot in fact do this. Today we will tell you whether cats can eat natural tuna and canned tuna and in what quantity. Learn what problems cats that mainly eat tuna can experience and the guidelines you need to follow if you decide to reward your feline with a bit of her favourite tuna. 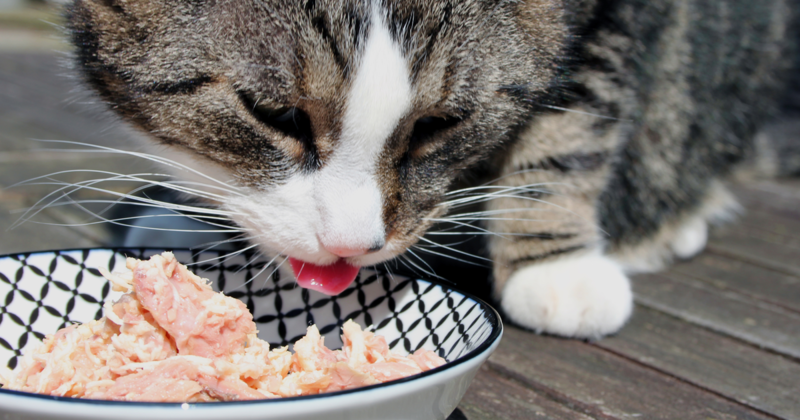 Tuna is not something we cats can eat on a regular basis, but it is not harmful if we have some occasionally. Keep in mind that humans normally eat canned tuna, a processed product that has lost many of its natural nutrients. If we solely eat tuna we could suffer from a serious vitamin and mineral deficiency that could be harmful to our health. What problems can a cat have if she eats tuna? Tuna prepared for human consumption has been cleaned to remove skin, bones and entrails. As a result, many of the nutrients that we cats need as part of our carnivorous diet are eliminated. If we have too much tuna, at the expense of other foods that are staples in our diet, we can suffer from malnutrition, especially in terms of minerals like iron and Vitamin E, among others. Cats that eat too much tuna can have health problems like feline steatitis, which affects the quality of the lipids found in their bodies, loss of balance, neurological failures, calcium, iron or sodium deficiency and even mercury poisoning. Can I give my cat tuna? Although tuna is not the most appropriate food to give your pet, you can reward her with some from time to time. It is best to give her fresh or canned tuna prepared specifically for cats, although every once in a while you can also give her tuna from a can meant for human consumption. 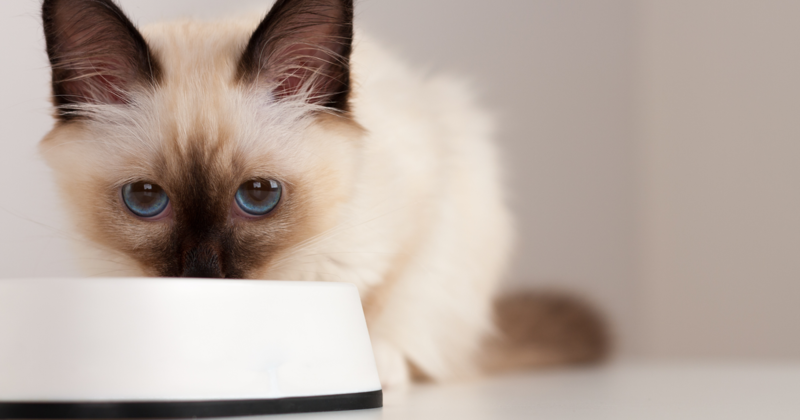 Regardless, tuna must always be served in small quantities, infrequently, and always in conjunction with your cat’s diet, which must consist in complete, high-quality feed and wet food that suits your pet’s needs.